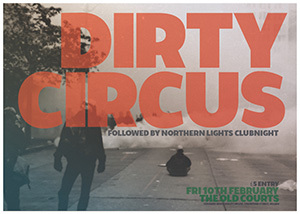 We return to the Old Courts this weekend for the first time since Boxing Day with a special line including the return of Dirty Circus. Support comes from Ravellas and followed by Northern Lights indie night. Entry is £5 and doors are at 8pm.